As part of Rick's Café Texan's Fifth Anniversary celebrations, I invited people to look over my various reviews and tell me if I should revisit them. James the Movie Reviewer (as he's known around here, My Only Reader) pointed me towards a few films. One of the films he suggested was X-Men: First Class. I had given First Class a mildly negative review of C-, and he thought I ranked it too low. Now, I have revisited First Class after three years when I saw it in the theaters. Have I changed my mind, or have I solidified my view? Even worse, have I actually found First Class to be worse the second time round and given it a lower grade? Well, I don't feel the need to go over the plot because this isn't a review of the movie itself; instead, this is a reevaluation of both the film and my review. For that, I am looking over my review and the movie to see if I hit or missed the mark. 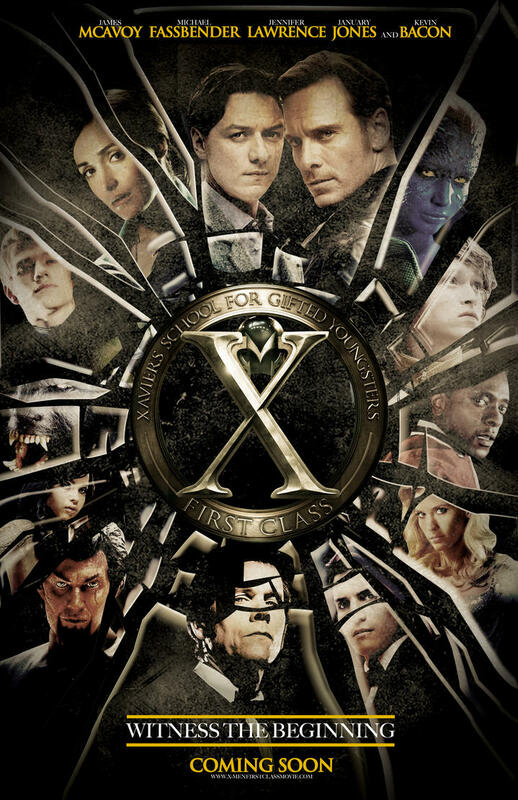 One thing that I appreciate now that I didn't when watching the first time was that X-Men: First Class was not as disorganized as I'd remembered it. It certainly is still a long movie (and I still think a bit longer than it should have been) but I no longer think its jumbled, hopping from one point to another without much sense. I think my objection came from the fact that Erik and Charles took a long time getting together for a common goal, and especially because a good chunk of the first act is devoted to Erik's Nazi Hunter episodes. Some things were also clearer the second time around. Sebastian Shaw's status as a mutant himself, which I had missed or maybe misheard, was now clear. Another thing that I did get wrong is the story. At first, I thought it was so sprawling that it wasn't really telling one. Now I see that it had a good story (Sebastian's desire to kill all non-mutants and rule over the mutants left alive), even if still it took a long time getting there. In retrospect as well, the training montage now seems clearer and more clever than when I first saw it, and also includes great insight into Xavier's worldview, even serving as a bit of a mentor to the deeply emotionally wounded Erik. One thing that had bothered me (the fun and games of the Junior mutants until Shaw storms the CIA compound) doesn't bother me that much. I still think it slowed the film a bit, but not stop it dead cold. I don't know if I liked the idea of killing off the CIA agents so quickly, but it doesn't annoy me as it had previously. However, the "If you're not with me, you're against me" line (which now seems to be de rigueur for "I'm quoting George W. Bush, so I must be evil because he is") still annoys me, not because I'm pro-Bush but because it takes a simplistic view to the President's meaning (that there can be no neutrality when it comes to fighting tyranny); just like ACT-UP believed "Silence = Death" in the battle against AIDS, so President Bush believed that silence or willing non-cooperation meant you lent support or sympathy to Islamofascism. It may not be the case, but today that "You're either with me or against me" line is too easy to use and misuse. Of course, there are things that I remembered from my original evaluation that I still stand by. The score still cues the emotions and tries too hard to tell us what is happening/going to happen (it becomes menacing when something bad is going to happen). I don't like it when music blasts out what my reactions should be instead of trusting me to 'get it'. Also, I still think First Class is still longer than it should or could be. Despite two viewings I still couldn't figure out who some of the characters were (such as Riptide or Havok), and for those of us not into the world of X-Men, it can be a little confusing. I still hold to the idea that Angel's conversion to the Dark Side was still rather quick, and again...did they really have to kill the black guy first? Finally, while the sets were great, did they really have to make a version of Dr. Strangelove's "War Room"? A Second Look at X-Men: First Class revealed that the movie is slightly better than I remembered it. I think my dislike came from its length and from the fact that it took a long time getting to where it was going. I still don't think I would have applauded at the end of the movie, but now I see it closer to X-Men than X-Men: The Last Stand. 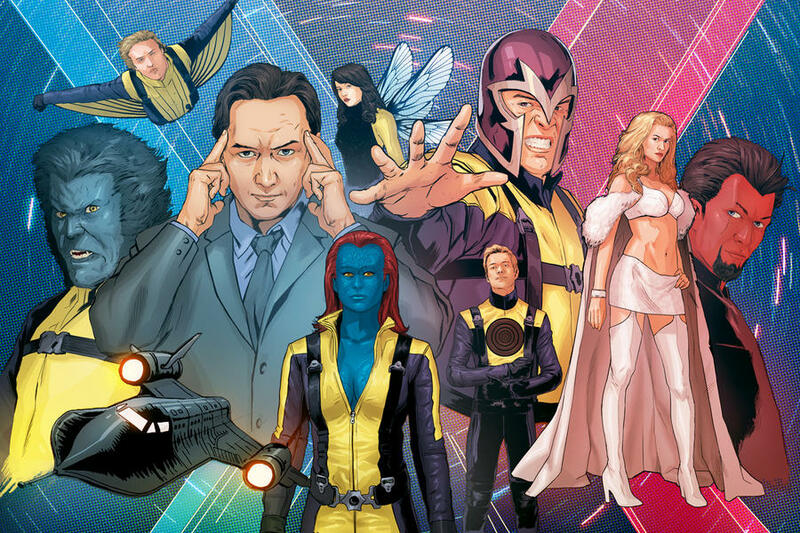 Should I rank the X-Men franchise, I would put First Class fourth (after X-2: X-Men United, X-Men, and X-Men: Days of Future Past) and the last good X-Men film rather than the first bad X-Men film. To sum up, my opinion of X-Men: First Class has gone up. Congratulations...you passed and can move up. Glad you see that you raised the rating for the movie. 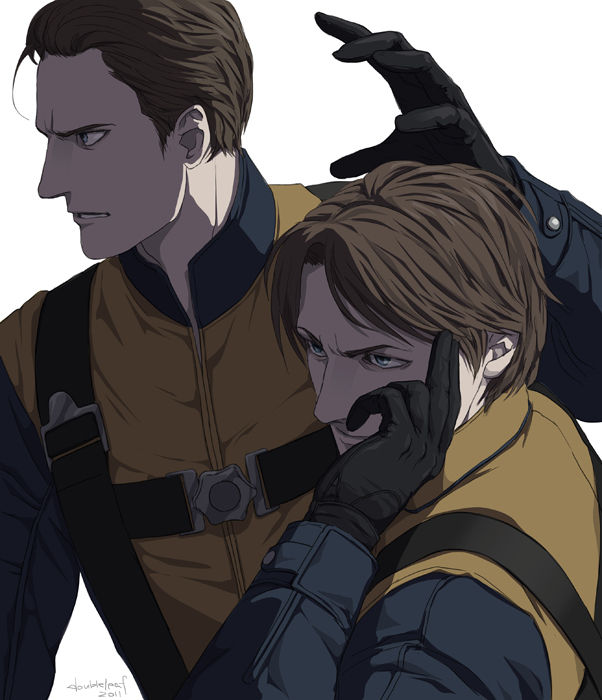 One of my favorite parts of the movie is the friendship between Erik and Xavier. Fassbender and McAvoy were very impressive in their roles considering that Stewart and McKellen are two of best actor the to ever play a comic book character. Also, I very much enjoyed the period setting of the film. It felt reminiscence of classic James Bond during a few points. I will agree with you about Angel's fast turn to the darkside. There was not enough setup for that.